When a brand has just one iconic car and a self-defining name like “MINI,” there’s only so far it can stretch its lineup before losing its soul. This year, MINI is expanding its product offerings — both figuratively and literally — with an all-new generation of the Clubman, and it does a remarkable job staying true to the diminutive MINI Cooper’s playful, ever-so-British spirit. While it’s noticeably bigger and more practical than the outgoing Clubman, with four wide-swinging passenger doors and a reasonably roomy back seat that can fold down to haul bulky cargo, it’s the driving feel that impresses me more than the newfound spaciousness. From the driver’s seat, the new Clubman feels smaller than it is. It turns, stops and accelerates with an eagerness that mimics and almost matches the excellent Cooper, no doubt helped by its hours of testing time on the Nürburgring racetrack in Germany. 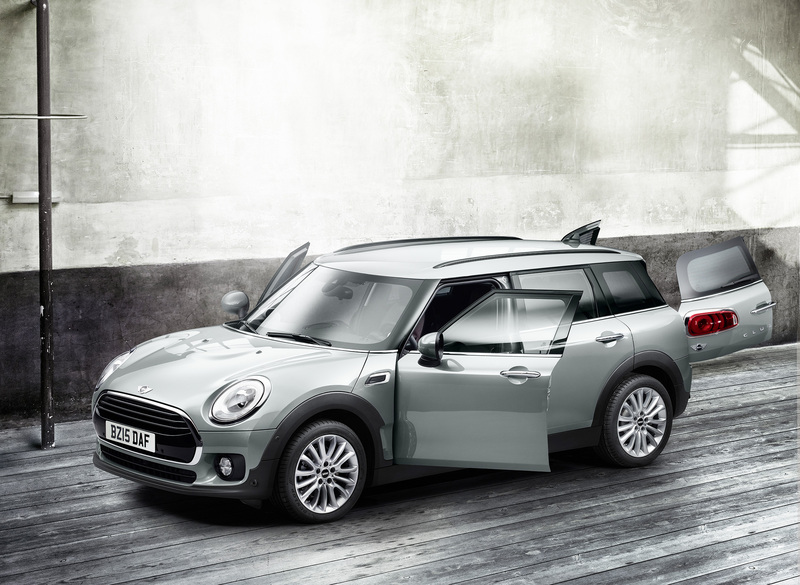 The MINI Clubman, a larger version of the timeless Cooper, has six doors, two of which offer a split-opening cargo area in back. As a whole, the 2016 Clubman feels like a more premium product than before. And it needs to, considering it’s carrying a premium price for a car this size, with an as-tested sticker of $36,600 for my Cooper S Clubman tester. To rationalize that, you’ve got to remember that the Clubman is built by BMW, the same company that creates some of the best drivers’ cars in the world. You can feel that in its bones, too, including a chassis that seems solid as a Rocky Mountain boulder in twists and over bumps, never allowing a hint of jiggliness that plagues lesser cars. For the most part, the Clubman’s new interior feels like it’s built to BMW’s lofty standards. With the exception of a couple of switches that seem like they wouldn’t pass muster in Munich, the interior has the same sense of precision and a lot more style than most BMW-badged products. And — let’s be clear — style is everything for the Clubman. The whole car is filled with funky styling touches, starting with a body that emulates the classic Cooper from all angles and ending with one of the most esoteric interiors of any car for sale today. In this otherworldly cabin, everything seems to either have a circular motif or glow in a strange way. Some things do both, like the glowing circle on the center stack that changes colors as the engine RPMs rise. Does the glowing circle serve any practical purpose? No. Is it extremely cool and something I’d like in my own car? Heck yes! At times, the styling can get in the way of practicality, though. Rear visibility isn’t that great thanks to the overall shape of this car, and it’s not helped by skinny side mirrors and a split back door. The digital interface is also awkward to use at times, with small buttons down low by the cup holder. Still, it’s those unusual choices that make this car what it is: a brilliantly fun, if quirky, family runabout. One example: I wanted to giggle every time I opened those swinging back doors by remote control. Unlike a power liftgate, a common feature on posh crossovers and SUVs, the split rear doors on the Clubman swing open left and right. It’s a feature that’s both practical — there’s nothing to bump your head on when you stoop down to load groceries — and makes you smile. More than anything else, though, the reason people ought to consider this car is the way it drives, particularly with a manual transmission. 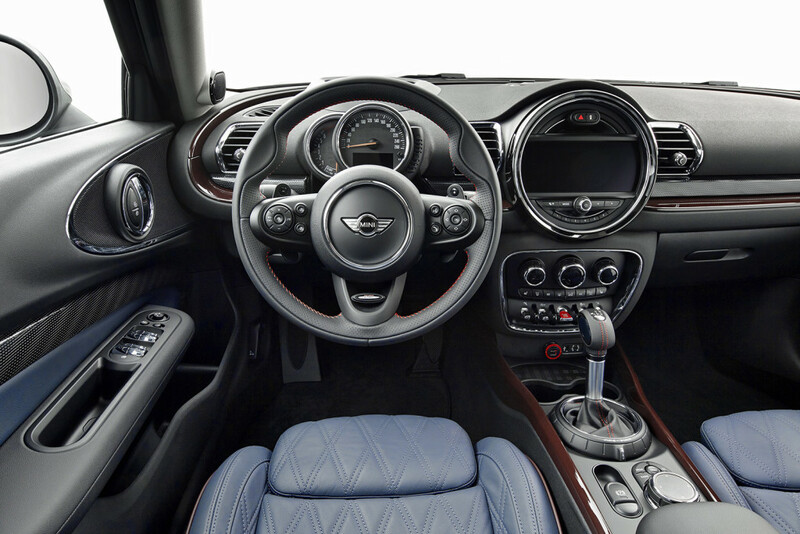 The Clubman’s interior is one of the most unique on the market today, fitting for a style-conscious car that prides itself on being quirky. It’s incredibly fun. MINI calls the experience “go-kart handling,” not a particularly original expression but spot-on accurate in this case. The Clubman corners flat and changes directions like a child’s toy, something rare for a roomy, four-door vehicle. From a safety perspective, the Clubman offers eight dual-stage airbags, dynamic stability control and a head-up display to keep the driver’s eyes near the road while looking at speed and navigation information. Pricing starts at $24,100 for the Clubman, $27,650 for the livelier S model, or $29,450 for the new Clubman ALL4 with all-wheel drive. With an all-new generation for 2016, the Clubman is roomier and more practical than before while also driving more like the playful, easily lovable MINI Cooper.